When the magic tree house takes Jack and Annie back to World War II, Europe is in trouble! It is June 1944, and the brother-and-sister team must go behind enemy lines and crack a code that could save a lot of lives. But this is war, and Jack and Annie might just be in the wrong place at the wrong time. Can they save everyone before the great battle of D-Day begins? They don't know, but they have to try! 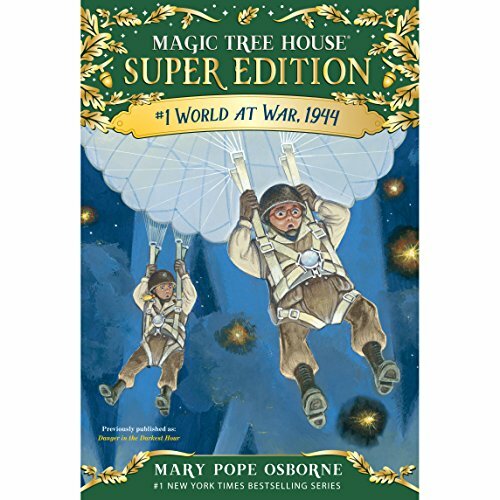 Previously published in hardcover as Magic Tree House Super Edition #1: Danger in the Darkest Hour. The boys enjoyed listening to this story I bed before falling asleep. They loved the story.